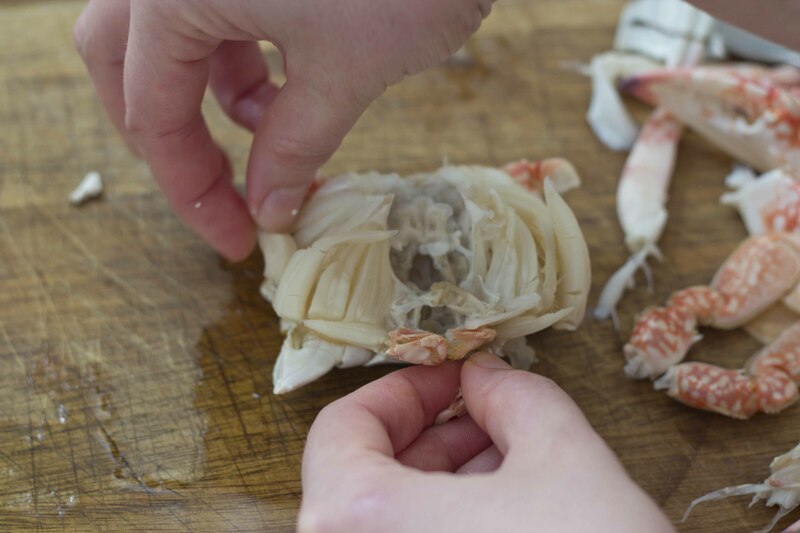 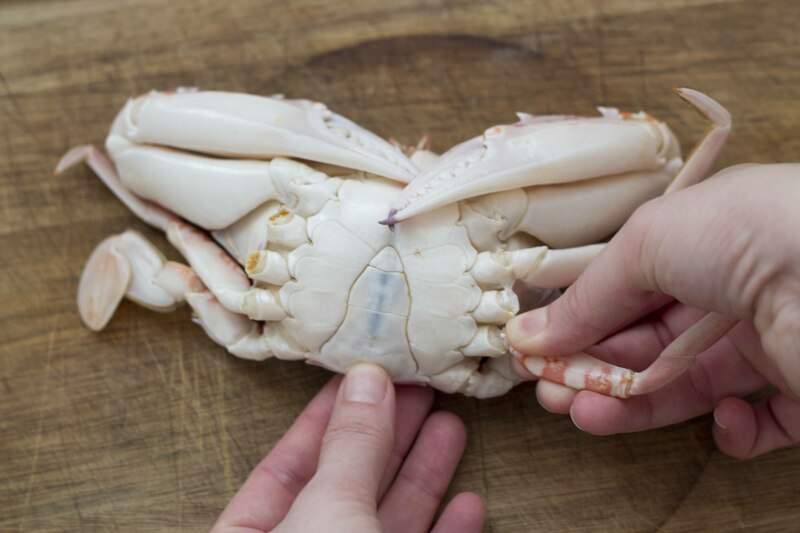 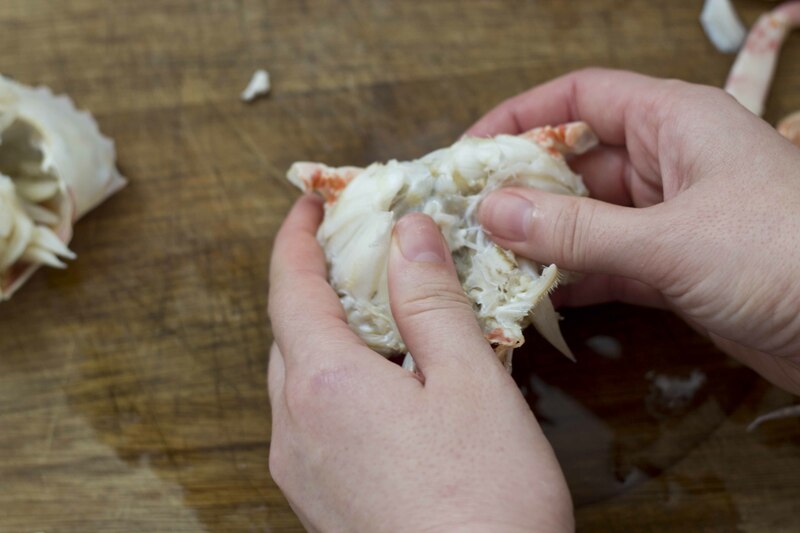 This guide will show you how to remove the meat from a crab. First begin by twisting off the legs. 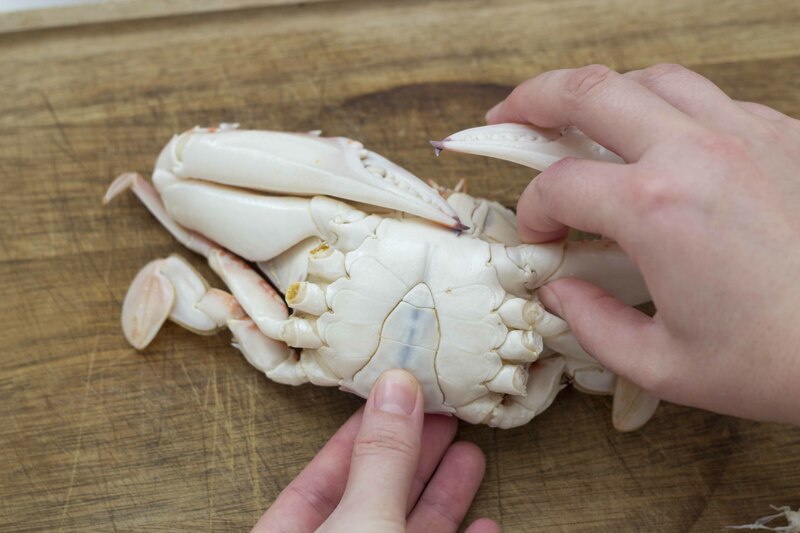 Next twist off the claws. Hold the top of the crab firmly and pull down the tail. 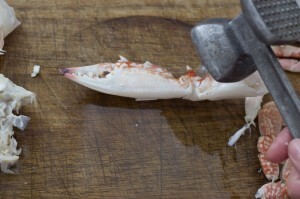 Bend it back to snap it off. 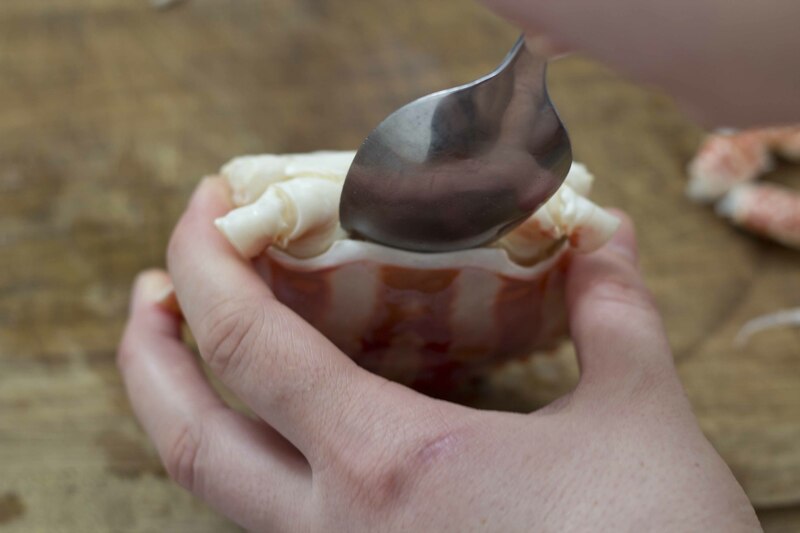 Insert a spoon between the shell and the body to pry the shell off. Pull the body away from the shell. If you will use the shell, then remove the white stomach sac behind the mouth with a knife. Use your fingers to remove the spongy gills, called dead man’s fingers, along the sides of the body and discard these (they taste awful)! Holding the body firmly with two hands, snap the body in half. 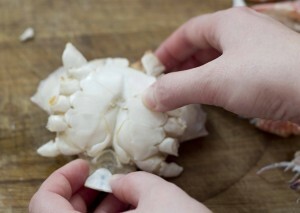 Pluck out the pieces of meat, trying to keep them as whole as possible. 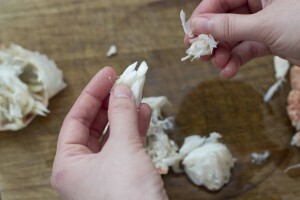 If needed, a pick or fine knife can be used to help remove the meat. There may also be brown coloured meat. 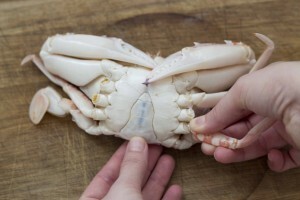 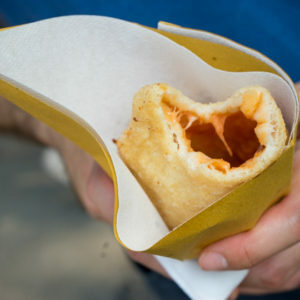 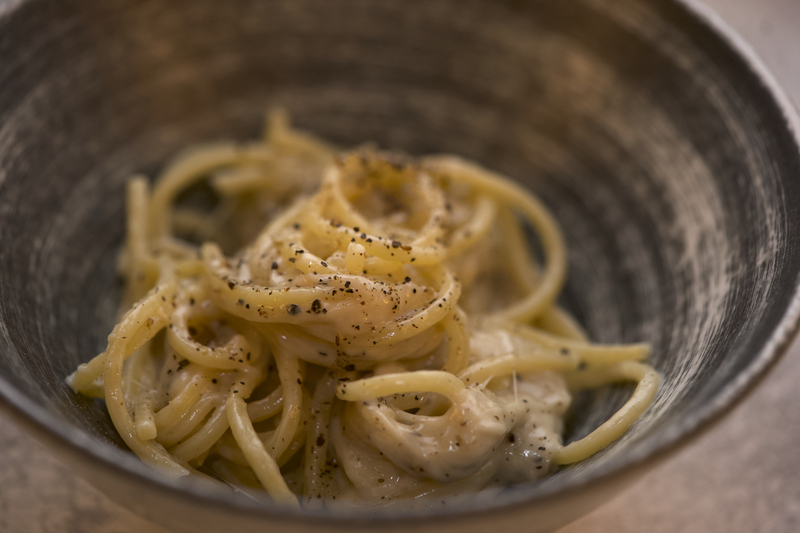 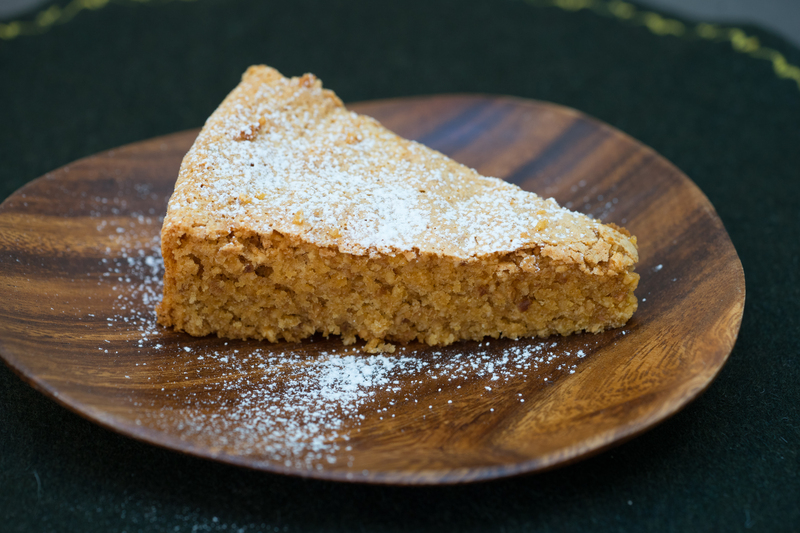 This can be kept separate from the white meat if desired. 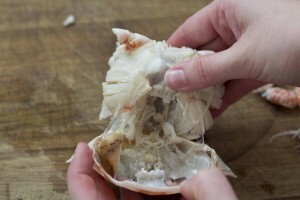 After removing the meat from the shell, set the meat aside. 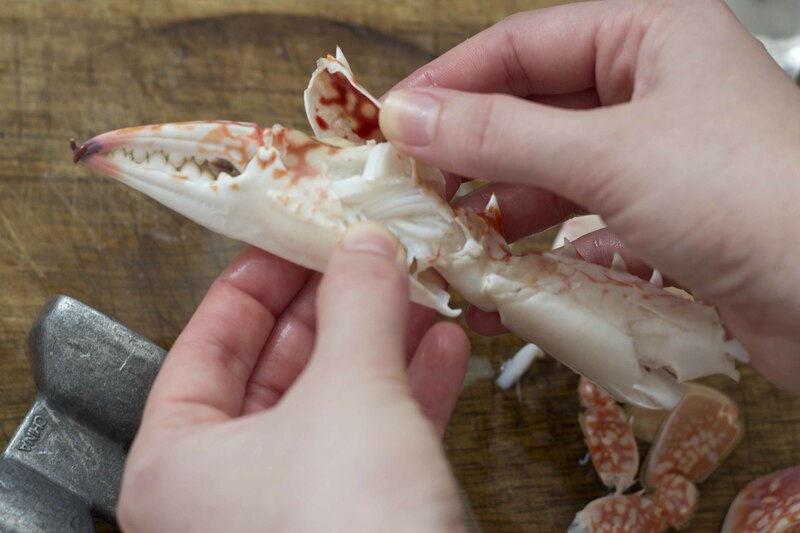 Use a mallet to crack the shells of the claws and legs, hitting just enough to crack the shell without damaging the meat. 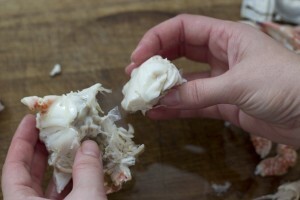 Pull the shell off to gently remove the meat.